Sivan Arul Vocational Training & Production Centre (SVPTC) is the wing of Sivan Arul Trust. The recognition of the urgent need to provide employment for widows and physically challenged persons from the Northern Province of Sri Lanka led to the birth of SVPTC in 2012. SVPTC is rooted in the desire and passion to economically empower those affected by the 2009 civil war, and uplift their lives through the creation of jobs. We firmly believe that the economic empowerment of widows is extremely crucial, as the loss of the sole breadwinner of their families often leads to socio-economic problems. 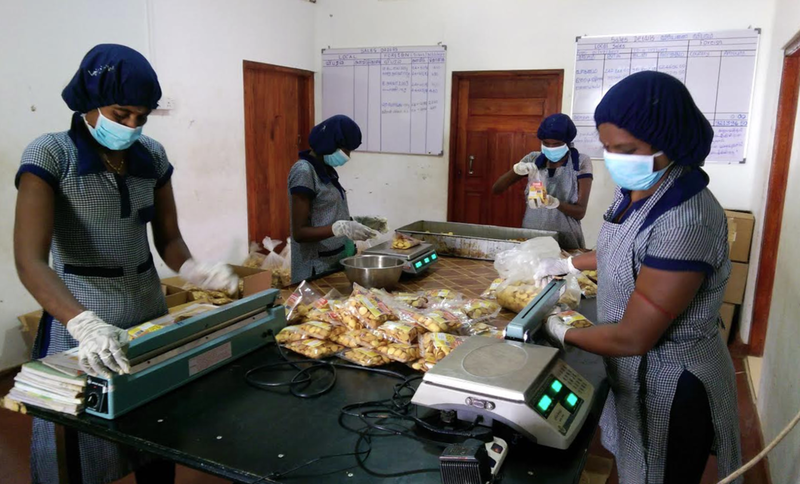 Being employed not only empowers the widows to lead their families but also empowers them to be in a financial position to provide their children with an education. The profits earned through our social enterprise are re-invested to further develop our business operations and create more employment. With your support, we have currently employed around 45 widows. We seek to engage, employ and empower our beneficiaries, for them to live independent and dignified lives. The success of this enterprise has been praised by by other NGO's such as USAID and ILO who have funded the projects. Currently our products are being exported to United Kingdom, Switzerland and Australia. The products are very popular in the local markets for their quality and reasonable price. Recently we have opened a wing to accommodate homeless young ladies. we have provided truing opportunities for these ladies. We have built a sewing centre to give employment opportunities to these ladies. We have a factory in Kilinochci producing over 30 products, A bakery in Puthu kudiyiruppu and an integrated farm in Katsilaimadu. There sre plans to open an other dairy farm in Palampity which is Madu district.